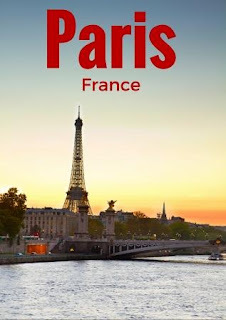 Paris is one of the most beautiful cities in the world and is also one of the best for food, culture and romance. The City of Light can be expensive but follow a few of these tips and you can enjoy the best of Paris on a budget. Stay: I stayed at a Youth Hostel, my recommendation is to stay near Champs Elysees, besides hostels check Airbnb. Paris is easy to get around but public transport can be expensive. When using the Metro ask for a carnet of ten tickets. This is cheaper than buying individual tickets each time you travel. Don’t forget to check out the city bikes or Paris Velib where you can pedal through the streets for less than 2 Euros a day. Whilst you’ll need nerves of steel to cycle around, at the Place De La Republique you’ll find lots of quieter streets and parks to explore. Paris is a fabulous city for walking so arm yourself with a map and a good pair of shoes and head off to explore on foot. Great walks include the banks of the River Seine, the streets around Montmartre, and the Jardin Des Tuileries. Many of the streets have historic markers such as plaques to World War Two French Resistance fighters and some wonderful architectural gems. Depending on how much you want to pack into your stay the Paris Pass is a discount card giving free and fast track entry to many of the attractions in the city. Some of the attractions give a discount by visiting two that are close to each other so look out for the combo tickets. And many attractions are free. You’ll find free entry to Notre Dame Cathedral and you can walk in the Jardins De Luxembourg. On the first Sunday of each moth the Louvre has free admission. Paris can be pricey when it comes to food. Buy food from the supermarkets or the street markets and enjoy a feast in one of the parks. Or check out the combo deals called “formules” offered by bakeries for a sandwich, cake and drink. If you are in a restaurant check out the plat du Jour for the daily offer. Book tickets in advance to avoid long lines, do recommend going all the way to the top. Try to go twice, once during the day and once during the night when the tower is lighted. From the airport to city, the cheapest way would be take the RER train. Paris is an amazing city on a budget. By planning your journey in advance you’ll find lots of cut price ways to see this beautiful city in style. Any suggestions for travelers on a budget?